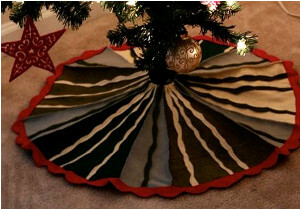 DIY Christmas tree skirts are hugely popular during the holidays. They’re functional, decorative, and add a little extra something to the living room decorations. 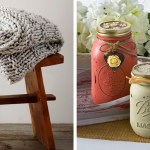 Christmas home dec projects are among my favorite homemade gifts to make for newlyweds, rather than just purchasing them a new blender from their registry. It’s a great unexpected gift idea that people love; building up a collection of Christmas decorations can be expensive, and it’s nice to have ornaments and decor that is tied to a memory. I love to learn about the history behind traditions, so as I was updating AllFreeSewing with new Christmas projects this week, I found myself adding a bunch of new Christmas Tree Skirt patterns and got to thinking: where on earth did the tradition of tree skirts come from? I did a little research and as it turns out, tree skirts actually have a pretty storied history! 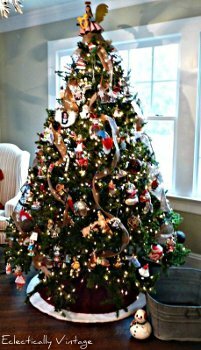 Though their exact origins are still unknown, historians believe that Christmas tree skirts were likely invented in Germany (also the birthplace of general tree decorating). In those days, trees were decorated with actual candles. In order to prevent a little Christmas bonfire from breaking out in the living room, families would put a mat under the base of the tree. The mat served to collect wax and fallen needles as well. These mats weren’t at all decorative; in fact, they were rarely more than just a piece of fabric placed beneath the tree, to be washed and recycled at the end of the holiday. The earliest recorded use of a Christmas tree stand as we use them today was in 1879, and the tree mat evolved into the tree skirt, which did double-duty collecting wax and leaves while obscuring the unsightly tree stand. 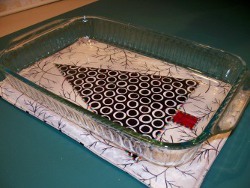 It was during this time that Christmas tree skirts began to become more ornate and decorative. 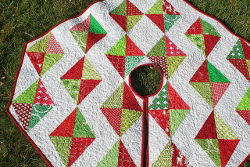 Families began to embroider or quilt their tree skirts to match their home decor. At this point, tree skirts also served as the location of additional tree decorations like a nativity scene or Christmas village. 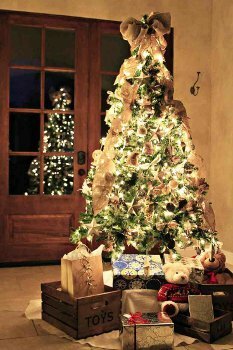 As Christmas tradition evolved and gifts were placed under the tree instead of being hung upon it, the tree skirt became an important place for gifts to be arranged. Usually gifts were hung on the tree in early December and then added around the skirt on Christmas Eve. Today, skirts are mostly used as decorative ways to hide the tree stand. Most nativity scened and Christmas villages have moved elsewhere in the house, and gifts are piled up under the tree from day one. 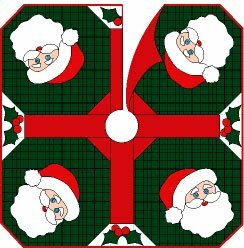 However, over a century of sewing tree skirts has given the internet a plethora of great homemade Christmas tree skirt ideas and tutorials. 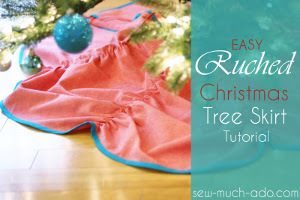 So with your new knowledge of its long past, sew a beautiful new skirt to add to your own family’s Christmas tradition with one of these ten festive free DIY Christmas tree skirt patterns! PLUS! Want some extra presents under your tree this year? You can win a copy of Handmade Leather Bags & Accessories from AllFreeSewing and Design Originals and make tons of cute bags and more! Enter to win once a day, every day until November 25th right here! 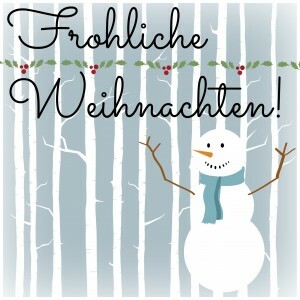 Do you have any Christmas traditions with interesting histories? Can you believe that there’s less than a month left until Christmas? 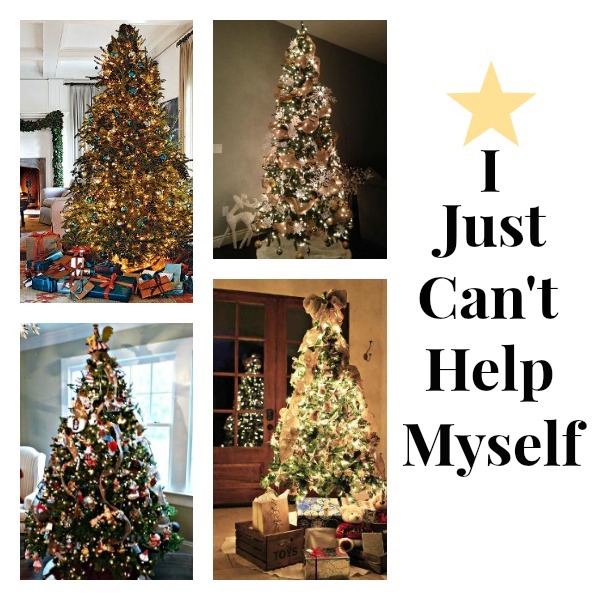 Now that all of the Thanksgiving decorations are put away, it’s time to focus on one of the biggest challenges for Christmas crafters every year; coming up with a theme for your Christmas tree. 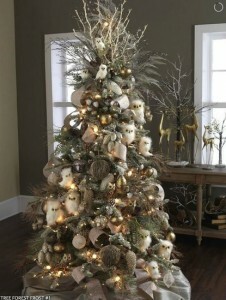 The editors at AllFreeChristmasCrafts know just how tough it can be to find fresh and exciting ideas that can go along with Christmas craft projects, which is why we took a look back at our Pinterest page to find for you some of the most original and beautiful tree designs along with a few craft ideas from our site to help you get started. 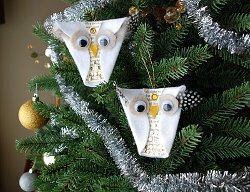 Any home of animal lovers will adore having a tree filled with cute little owls. This is the perfect opportunity to feature not only animal crafts, but also more rustic and nature inspired projects to give the tree an outdoor look. Do you miss Summer? Your beach paradise doesn’t have to be so far away as long as you have a few leftovers from your last trip. The ocean-themed crafts have soft colors to relax you, and turning your favorite seashells and stars into ornaments will give them a new, long-lasting purpose in your home. Ornaments aren’t the only way you can experiment with your Christmas tree. There are tons of ways to color them (be it artificial or paint), and these solid colors are great for vibrant decorations. You can create a real fantasy within your home that will really take your guests’ breath away. 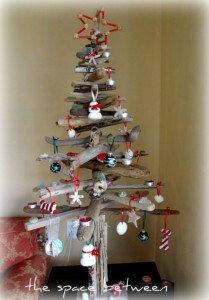 For those of you looking for a very eco-friendly and mess-free option, why not build your own Christmas tree out of driftwood? This is becoming more and more popular because of how versatile it is; you never have to water it, you can take it down easily, and you can size it to fit anywhere. 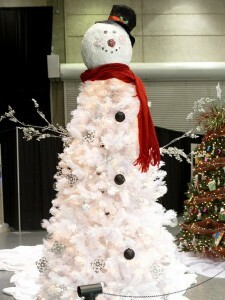 If you can’t get enough of snowman crafts, you’ll absolutely love this creative design. It’s quirky and cute, but not so over the top that you can’t see it’s beauty. 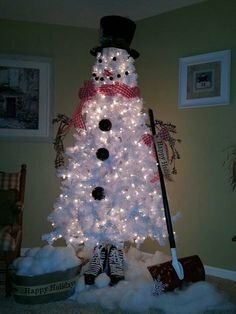 How fun would this be with some snow-themed ornaments? Many of our readers have been looking for a way to bring the West to their Christmas tree, and this theme is a fun, very prop-friendly way. There are so many materials you can use to recreate classic Western and cowboy themes. You’ll feel the heat with such a hot theme! 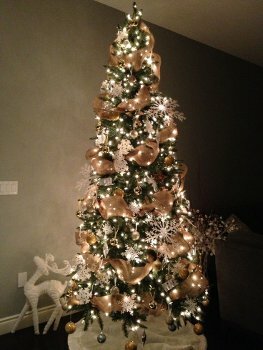 What’s your Christmas tree theme for this year? 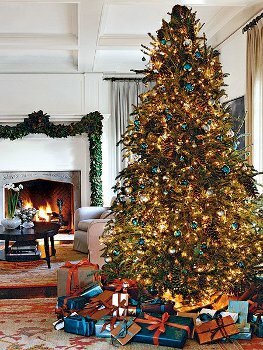 Link Love: Oh, Christmas Tree! 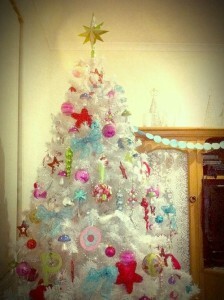 Real Christmas trees are nice, of course. What’s not to love about lights, ornaments, and a sparkling star to top it all off? 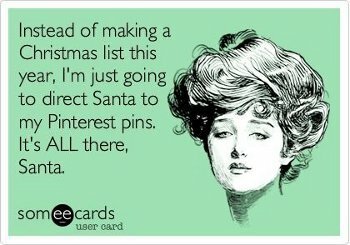 But what I really love about Christmas decorations is the homemade, miniature trees that I’ve been seeing around the internet lately. You guys certainly are a crafty bunch! Check out these inventive Christmas trees made out of, well, everything! Everyone needs a little sparkle in their lives, and these Glitter Trees from eighteen25 have just enough bling! I’m a sucker for button crafts. Apparently The Idea Attic is too. 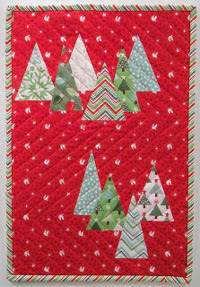 Paperview has a pretty paper Christmas tree tutorial that looks like it’s really easy to make too. Bring on the ruffles! 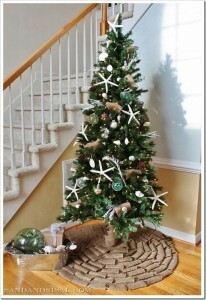 Bliss Bloom Blog shows you how to turn cheap felt into a decadent, ruffled Christmas tree. For the sweet tooth: Make a candy tree with Life is a Party. 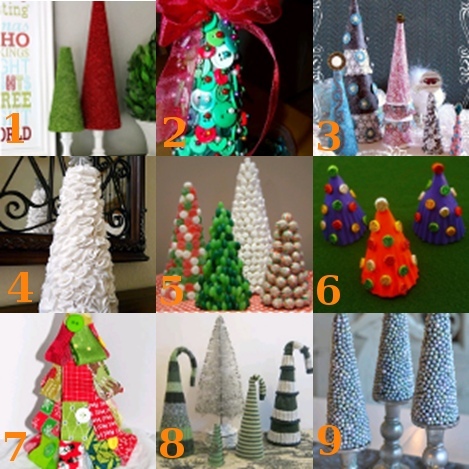 Make these cute trees with the kids out of cupcake wrappers. 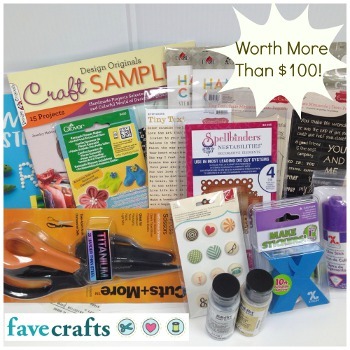 Craftbits shows you how. 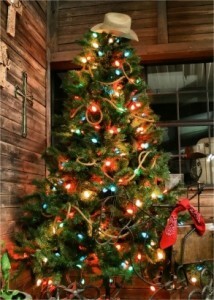 Mama Mel Loves shows you how to use fabric scraps to make these scrappy, festive trees. What can you make with an old sweater? These Christmas trees, to start! Visit Sweater Surgery for the details. Don’t these trees look like they were store bought? 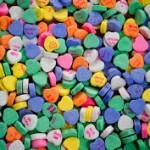 Make your own with All Things Heart & Home. 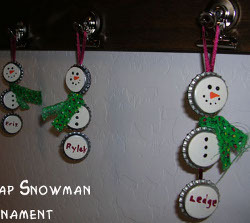 The quintessential holiday craft project is the ever popular Christmas ornament. These little baubles are in high demand because nearly everyone trims a tree nowadays, and every tree needs dozens of ornaments before it can call itself trimmed. Ornaments make easy stocking stuffers, gift toppers, and hostess gifts, and they’re usually quick, mini-projects to do in an evening. 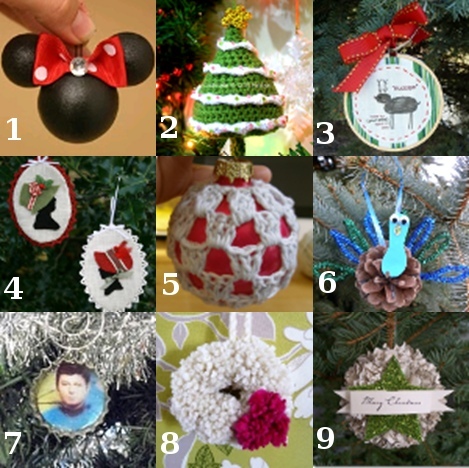 Here’s a crafty round-up of the best homemade ornaments from around the web. 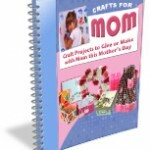 And don’t miss our 6 Sew Easy to Make Christmas Ornaments eBook! You won’t believe how simple this adorable Mini Mouse ornament was to make! Check out the tutorial on Honeyscrap. Craft Passion featured a mini crochet Christmas tree ornament complete with snow garland and beads. Learn how to turn your child’s art into keepsakes with Obsessive Crafting Disorder’s Mini Monet ornaments tutorial. Check out these old-timey silhouette ornaments from The Magic Bean, and put your own spin on them. 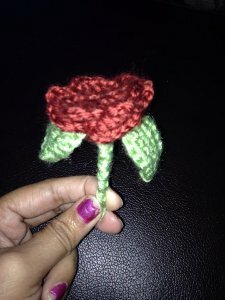 This crochet ornament from Meet Me at Mike’s is quick and classy. You can even make a whole tree full! 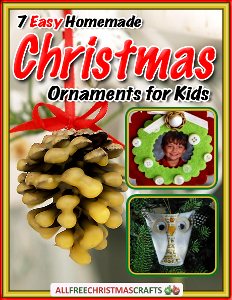 Here’s a fun ornament for the kids to make: The Kids Birthday Fun Review shows you how to turn pine cones and pipe cleaners into peacocks. Live long and prosper (and trek the halls) with Star Trek ornaments from Punk Projects. This pom pom wreath ornament combines three of my favorite things: miniatures, using up scraps, and Christmas. Kojo Designs has a tutorial! I love the look of this ornament from Everyday Chaos. Bonus–it’s made from recycled book pages.